Get more review strategy tips with this free guide. There are a lot of factors that go into a customer's decision to make a purchase from your company. When I'm deciding whether or not to buy something, for example, I typically ask my friends for recommendations, and then do a lot of online research of my options. And since it's so fast and easy to make purchases online without ever connecting with a sales rep, the internet usually does the selling for you -- and that can have a huge impact on if a customer purchases from you or not. The fact of the matter is, your company's best marketers and sales reps aren't your employees -- they're your existing customers. Customer trust in businesses is fading. HubSpot Research found that customers trust recommendations from friends and family over any type of online marketing and advertising your brand can create. And in the absence of trusted recommendations, according to BrightLocal, 85% of consumers trust online reviews are much as personal recommendations -- the single most trustworthy and credible source of "advertising" out there. HubSpot Research also found that 60% of consumers believed customer reviews were either trustworthy or very trustworthy -- meaning that businesses that can accumulate positive reviews had a good chance of them helping a customer make a purchase decision. The same BrightLocal survey found that positive customer reviews make 73% of customers trust a business more, and 57% of customers visit a company's website after reading positive reviews. That also means that, in order for businesses to grow in today's competitive, online-first marketplace, they need happy customers sharing positive reviews of their experiences in order to even get visitors coming to their site for the first time. The good news is, your customers are usually more than happy to help you out with this: The same survey found that, of the 74% of customers who were asked to provide feedback, 68% were willing to do it. So don't be intimidated by the prospect of asking your customers for a favor -- because all you have to do is ask, and they'll likely be happy to help you out. So, how do you get your customers to write the glowing reviews that help close deals? How do you ensure a customer is satisfied and happy enough to ask for the kind of positive reviews you need? 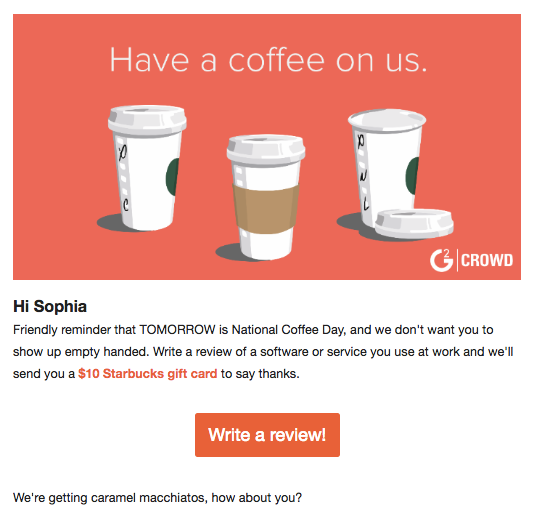 Read on to adopt strategies that will make generating positive customer reviews a cinch. Respond to every review -- even negative ones. Share positive customer reviews you've already received. Give your customers a positive review first. Ask the customer in person. 1. 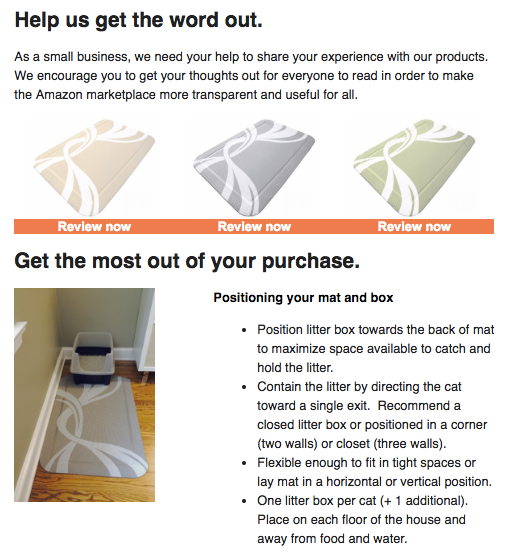 Create different spaces to leave reviews. Before potential customers even make it to your website to learn about your business, make sure they can learn about you no matter where they're conducting online research about making a purchase. BrightLocal found that Yelp and Facebook were consumers' most trusted source of customer reviews in the U.S., so make sure your business is registered and up-to-date. You can learn how to claim your business (or add it, if your business is brand-new) using Yelp for Business Owners. 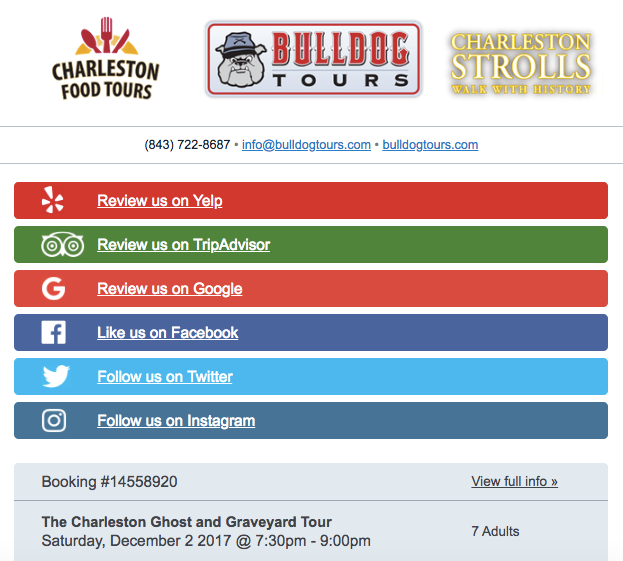 Make sure you're regularly monitoring communications coming from this profile -- responsive business owners are highlighted with an average response time and response rate that could encourage readers to move forward in the process towards becoming a new customer. You should also claim your business' Facebook Page so potential customers can find you to learn more about you without having to leave their social network. This is another site that rewards high levels of responsiveness, so make sure you assign someone to monitor incoming messages across the channels you're trying to optimize for new customer acquisition. Next, use Google My Business to claim your business on the world's biggest search engine, where potential customers might find you if they're searching for information on Google, or searching for directions in Google Maps. (This is of particular importance to brick-and-mortar businesses trying to attract foot traffic -- learn more about local SEO in this blog post.) 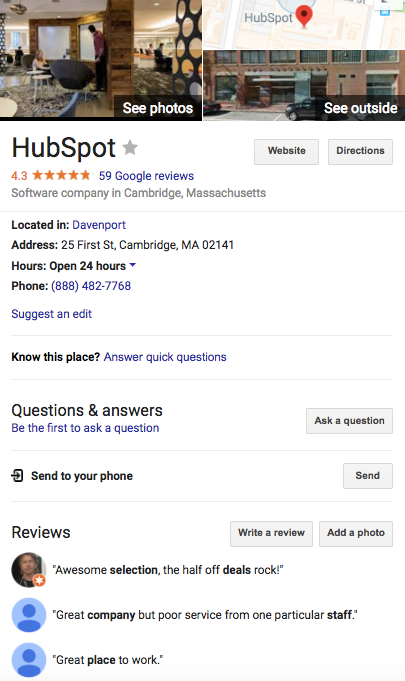 People also leave reviews using Google, which appear in the search results for your business, as shown below if you Google "HubSpot." If you're an Amazon seller, make sure to claim and customize your Amazon page. 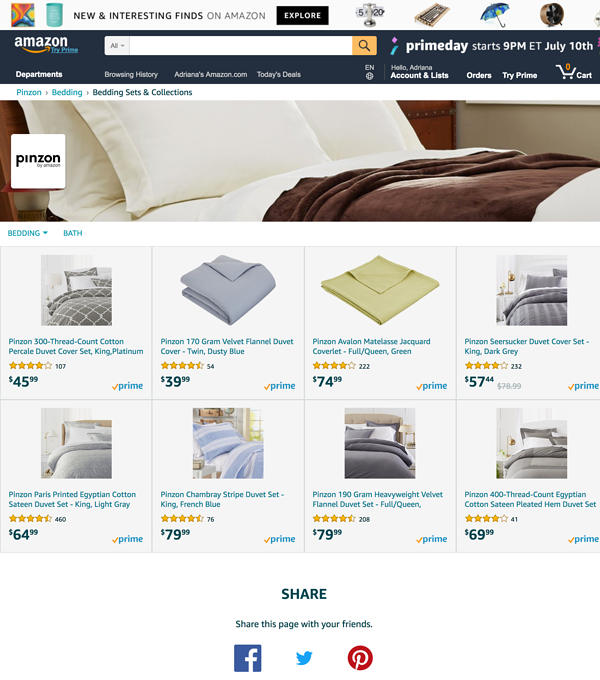 Amazon serves up a lot of different results for different searches, so make sure your Amazon page tells your business' story the same way your website does. If a shopper finds your brand over the course of an Amazon search, make sure your Page highlights product details, testimonials, and reviews. For businesses in the U.S., Mexico, and Canada, you can register with the Better Business Bureau -- another highly trusted source of customer reviews. By claiming your business on the BBB, you can access more candid customer reviews and become accredited on the site -- which lends greater credibility and trustworthiness to you if customers are deciding between options using these reviews and ratings. There are also industry-specific review sites you should claim if they're popular within your business's vertical -- such as TripAdvisor and Oyster in the travel and hospitality industries, G2Crowd and Finances Online in the software industries, and OpenTable and HappyCow in the restaurant industries. Make sure your contact information, website, hours, and key offerings are available on these more niche sites, too. Your customer reviews might be coming in unsolicited from happy -- or unhappy -- customers on third-party sites. But once people are already on your site, make sure it's easy for them to leave reviews there, too. 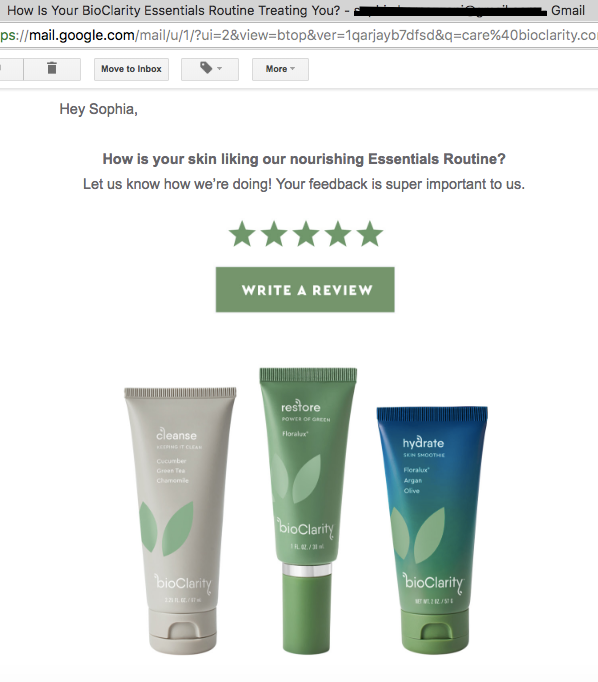 If you're asking for customer reviews via email, keep the asks short and sweet. Your time is valuable, and so is your customers', so make sure you're giving customers a reason to leave a review. Offer incentives to make your customers want to write a review -- such as discount or coupon codes, entrance into a contest for an even bigger prize, or gift cards for coffee, online shopping, or cold hard cash. 4. Ask at the right moments. Make sure you're soliciting customer reviews at the right moment in their journey with your business to get optimal results. Think about it: If you ask for a review at the wrong moment, it could result in a customer leaving a negative review that hundreds more people read when considering whether or not they want to buy from your business. These are just a few examples of signs that your customer is satisfied enough that they would leave a positive review of your business. 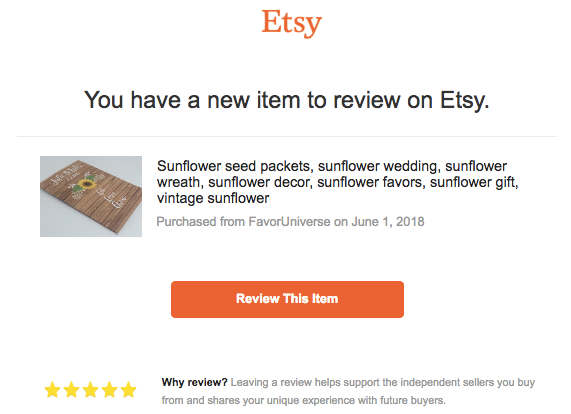 For example, Etsy asked me to review a recent purchase approximately one month after I received it. I ordered a party favor for a friend's bridal shower, so one month later was the right timeframe to make sure I had time to enjoy and use my product. On the other hand, some products and services will work within different time frames. For ride-hailing app Lyft, I usually receive a prompt to review my experience with my ride and driver immediately after the ride ends. For language-learning app Duolingo, I receive a prompt to review the app in the App Store after completing a lesson or achieving a milestone in the language I'm learning. 5. Meet customers where they are. Don't email your customers to ask them to leave you a positive review on Yelp. Instead, make sure your requests match up with the avenue where you want your customer to write a review. If you're sending out an email asking for a customer review, make sure the email links to exactly where they can leave their feedback. If you want reviews on your Facebook Page, send the request via Messenger. And if you have to ask for a customer review cross-platform, make the request as integrated as possible -- for example, by linking to your Yelp page in your email signature, or asking customers to review their purchase from your Amazon store in a follow-up email post-purchase. 6. Ask open-ended questions first. Don't start by coming out and asking directly for a customer review. Instead, start a conversation -- and use an open-ended question to kick off the process. By asking customers "How are you liking the product?" or "Are you ready to renew/purchase again?" or "How was your recent interaction with customer support?" you can start a conversation and gauge their level of satisfaction before actually asking for the review. Use the open-ended question to genuinely collect customer feedback -- and to sneakily make sure the customer is happy before offering them a reason to submit a review. There's nothing you can do about negative reviews coming onto various sites, but if there's a customer who needs a resolution, focus on that before you ask them to rate your business. 7. Respond to every review -- even negative ones. Nobody's perfect, and mistakes sometimes happen that result in a customer leaving a scathing one-star review on your website, on Facebook, or on Yelp. When you get a one-star review, though, make sure to take the time to respond thoughtfully, without being defensive, to come to a resolution. It's the right thing to do if you work in customer service, and it could actually help your business in the long run. Harvard Business Review found that businesses responding to negative reviews online actually resulted in better ratings overall. 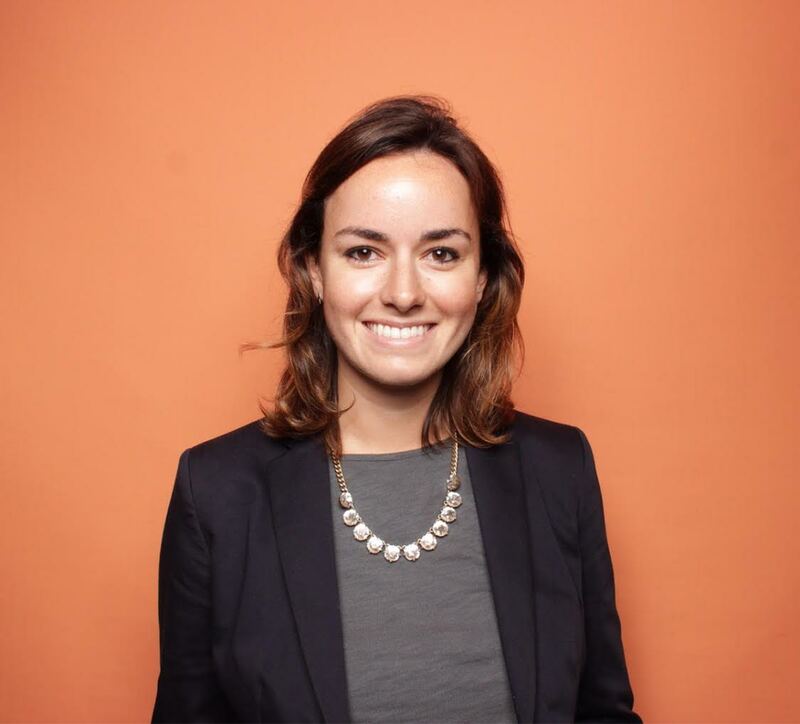 Your customers are human beings too, and the value of empathetic and compassionate customer service strikes a chord and actually leads to an uptick in total reviews, particularly positive ones. 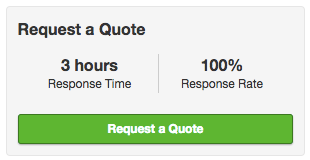 Here's an example of how HubSpot responds to reviews on our Glassdoor page. 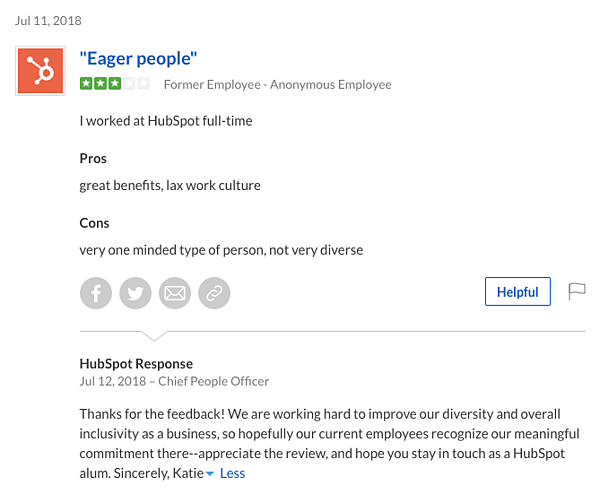 Although not technically "customers," showing prospective employees that HubSpot responds to feedback and takes it seriously helps our employment brand, too. 8. Share positive customer reviews you've already received. When you start receiving positive reviews from your customers, keep the momentum going by highlighting and sharing them so other customers are inspired to do the same. On Google, Yelp, TripAdvisor, Glassdoor, and many other reviews sites, business owners (and site visitors) can mark certain reviews as helpful, which is like upvoting and moves reviews further up on the site so more people can read them. Make sure to periodically do this to positive reviews so your company's page highlights the cream of the crop. You could also share positive reviews on your brand's social media channels to open up the option to your audience there. You could reshare positive Facebook reviews in a post on your page, or you could format positive reviews as quotes for Instagram to post for your followers. Social proof is a powerful marketing tactic -- it means that, if customers see other people like them sharing reviews, they're more likely to do the same by following the crowd. So make sure that, in addition to asking for new customer reviews, you're promoting the positive ones you receive across your brand's channels for promotion. 9. Give your customers a positive review first. If you want customers to leave you a review, you could leave them one first to get the ball rolling. This may not always be possible (depending on your industry or product), but in a lot of cases, you can get customers to reciprocate your positive words. If your product or service allows customer profiles to be reviewed -- Uber, Lyft, Airbnb, VRBO, and TurnKey are examples -- then leave them a positive review if you'd like them to review you in return. Of course, if they were bad customers, you don't have to do that, but if you want to garner more reviews, taking the first step could prompt them to leave you one in return. Another good option is recommending your customer on LinkedIn. If you're in an account management role and you work with individuals over a long period of time, you could leave them a recommendation or endorsement on LinkedIn. 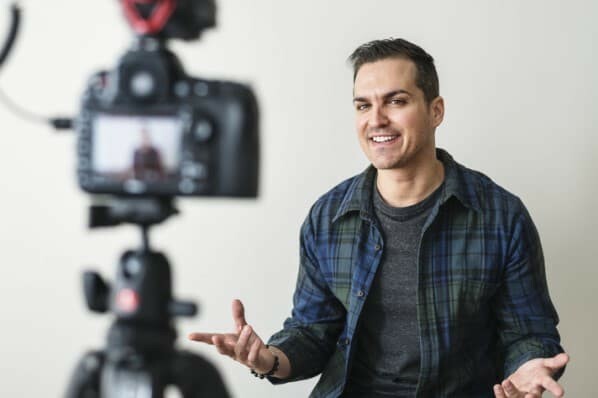 Those go a long way for their own personal branding, and might compel them to reciprocate on their own by leaving your business a positive review. And if they thank you for the endorsement, you could politely ask them for a specific review on a different platform during that exchange. Customer: Thanks for endorsing me on LinkedIn! I appreciate it. Business Representative: You're welcome! I've enjoyed working with you over the last few months, and wanted to make sure other people know how skilled you are at web design. If you've enjoyed working with me as well, I'd appreciate a review of our product on G2 Crowd if you're up for it. I only recommend this strategy if you've built a relationship with the individual over the course of working together. If an unknown person starts endorsing the customer for random skills on LinkedIn, that might seem creepy, and likely won't result in them reciprocating. 10. Ask the customer in person. 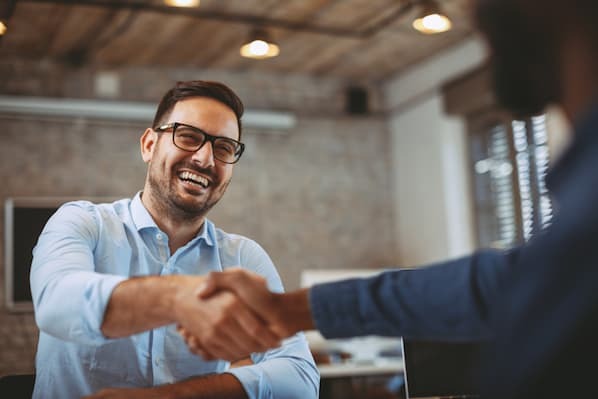 If you work in a customer success manager or account executive role, and you have close relationships with the portfolio of customers you work with, don't hesitate to add a personal touch, and ask your customers to review their experiences in person. If your customers tell you they're seeing success, let them know that you value their opinion and their loyalty, and that you'd appreciate them helping you get the word out to potential new customers. Remember the data from the beginning of this post? Most customers will leave you a review -- all you have to do is ask. To create opportunities to ask for reviews in-person as details in the previous strategy, and to create the conditions where customers are more likely to leave positive reviews, host a remarkable user conference or industry event to create more value for your customers beyond just the products or services you sell. 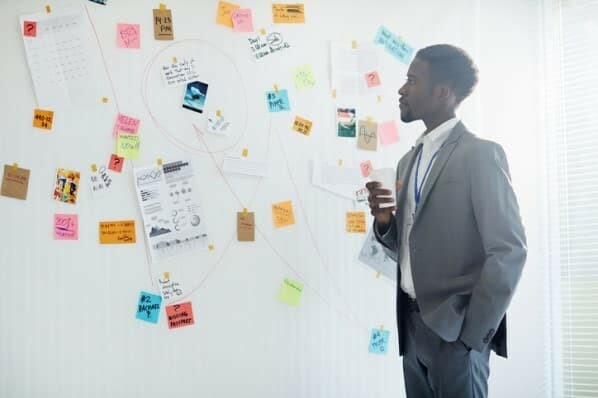 By creating an engaging and useful experience for customers, where they can network with a community of people like them, get access to new product releases and discounts early, and meet their points of contact at your company, you'll increase their positive sentiment toward your business and engender the likelihood that they'll leave more reviews. You could even make customer reviews a part of your post-event feedback process -- after customers complete a survey asking how they'd rate their experience, you could ask them to share highlights of their experience at the event on a public review site. To learn more, check out the best testimonial page examples we could find.